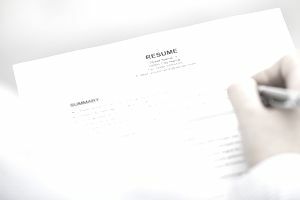 When you're writing a resume, it's important to include all of your contact information at the top of your resume. It allows employers to see how they can reach you easily. Without detailed contact information, or with incorrect contact information, employers will not be able to get in touch with you easily. You want to make it as easy as possible for an employer or hiring manager to get in touch with you. Read below for tips on what to include in your contact section and where to put your contact section, and see a sample contact section for a resume. What to include: Include your full name, street address, city, state, and zip code. Also, include your phone number and email address. If you have a LinkedIn page or personal website, include these URLs in your contact section as well. Name: If you go by a name other than your given name, you can use this in your resume. However, whatever name you choose, be consistent. It should be the name on all of your job application documents, including any cover letters, business cards, professional websites, etc. You might also use your full name, but put a nickname that you prefer to go by in parenthesis. For example, your name on your resume might read: James (Jim) Santinello. Mailing address: Use a permanent mailing address on your resume. If you are a student, you might include both your permanent address and your school address. Be sure to include any important details to your address, such as an apartment number. If you're concerned about privacy, consider listing just the city and state. For example, your address might read: Tampa, Florida. There are also other circumstances where you may want to consider not listing your physical home address. Email address: Use a personal email address, not your work email address. You don’t want to mix your current job emails with your job search emails. If you don't have a personal email account, sign up for a free email account to use for job searching. However, also make sure that your personal address is professional. Use your first and last name in the address. Avoid unprofessional email addresses, such as PartyTime@email.com. Check the email account frequently, so that you can respond to employer inquiries promptly. Phone number: It is very important to have voicemail on your phone so that hiring managers can leave a message when you're not available. You don't want to miss any important calls. Be sure that your voicemail message sounds professional; also make sure it includes your name, so the employer knows they have called the right person. Place your contact information at the top of your resume; it should be the first thing the employer sees. Your name should be at the very top and should stand out. You might make your name a bit larger in font than the rest of your resume, or bold your name, or both. You can center your contact information on the page, or make it left justified. Leave a space or horizontal line between the end of your contact information and the next section of your resume. Be sure to proofread your contact information, along with the rest of the information on your resume. A typo in your phone number or email address is more common than you might think. It could prevent you from getting contacted for a job interview. Before you start work on your resume, review free resume samples that fit a variety of employment situations. These resume examples and templates provide job seekers with examples of resume formats that will work for almost every job seeker.